Are you thinking about selling your house or condominium? Contact us and we will arrange a meeting at your home or at one of our two offices in Rayong. We would like to share our experiences and hear what wishes you have for your sale. High level of training, decades of experience and hundreds of completed transfers makes us very competent at what we do. In combination with professional marketing that will increase the chance for a successful sale. Swedish working practice, genuine knowledge and full transparency are things that makes us unique in Rayong. Therefore we dare to say that ERA Oakfield is your safest and most reliable choice in Rayong province. Many of us are born in Rayong, all of us live here and ERA Oakfield have been active here for more than 10 years. It´s safe to say we know Rayong. All that knowledge will help you when we will sell your property in the best possible way. A realistic selling price for your house or condominium. Exclusive assignment agreement so we can invest 100% time and effort in selling your home. That you can provide necessary documentation of your house, land or condominium. We look through your contracts, bills, title deeds etc for your home so everything is correct and in order. We make a free evaluation of the market value of your home. You also get valuable advice on what you can do to increase the chances to sell your property quickly and successfully. The agreement specify the terms on how to sell your property. Covers things like price, date of access, contract time etc. Good photographs are very important to highlight the benefits of your home. Our photographer takes care of this for you. We also produce a simple video presentation of your listing. ERA Rayong is also officially certified to carry out photography with drones, aerial photographs. We use this when it improve the presentation of your home. Your personal real estate agent writes detailed sales descriptions in Swedish, English and Thai for your home. A good presentation makes it easier to sell. Sell your home in Rayong? Send us your contact information and we will get back to you or give us a call at +66 (0)38 65 26 00. Our appraisal of your home is free of charge. We match your home against our extensive database with potential buyers. We advertise your home in various media. 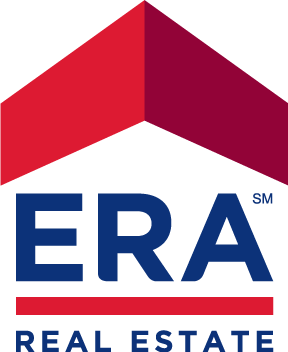 Your listing will be presented at ERA offices in selected areas and countries. Your home will be promoted on Internet where national and international clients can consume presentations and photos. We put up an "ERA Oakfield Thailand" "For Sale" sign at your property. We carry out showings of your house or condominium for potential buyers. Your real estate agent gives you regular information about showings, replies to advertisements, comments from potential buyers etc. We regularly have internal staff meetings where we discuss issues regarding marketing and pricing. Should it be required, we will review your house or condominium again and do a reassessment. Your agent prepares all legal parts of the deal and ensures that no questions remain before transfer of ownership. I connection with contract signing, the buyer pays agreed deposit. Processing of documents, transfer of ownership at Land Office and handling of payments. All payment are handled according to your instruktions and, if you so wish, you do not need to be present at any stage of the whole selling process.